IPVanish VPN vs PureVPN vs IPVanish VPN vs PureVPN 2019 - 5 Tests, 1 Winner! Hong Kong based PureVPN was established in 2006 and is one of the most popular VPN providers in the market. IPVanish, on the other hand, is a US based service provider founded in 2012 and one of the fastest growing VPNs available. While PureVPN offers 750 servers in over 140 countries, IPVanish provides access to over 1,000 servers strategically distributed in more than 60 countries. IPVanish is feature packed and operates a strict no logs policy whereas PureVPN records some temporary logs. In terms of similarities, both VPNs use 256-bit encryption to secure users’ data and support the OpenVPN protocol. They also both support torrenting and P2P activities on their servers and allow up to five simultaneous device connections on all subscriptions for their services. 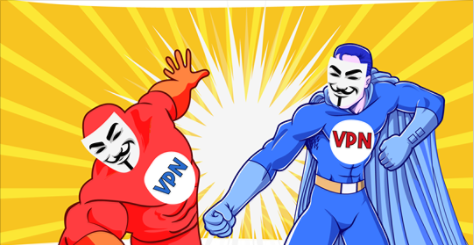 In the event that users are unhappy with either of these providers and would like to cancel their subscriptions, they both offer a 7-day money-back guarantee which essentially allows users claim a refund within their first week of using the VPN. Read on to see a more detailed comparison below. In terms of features, reliability and availability of servers, and no logs policy, IPVanish edges PureVPN as a better service provider. PureVPN still manages to stay competitive with its number of servers and overall VPN security, but the company has had privacy problems in the past. Best VPNs for Torrents IPVanish allows torrenting and P2P file-sharing on all its servers and offers unlimited bandwidth. PureVPN also has dedicated servers for torrenting, excluding the USA and UK. IPVanish allows torrenting and P2P file-sharing on all its servers and offers unlimited bandwidth. PureVPN also has dedicated servers for torrenting, excluding the USA and UK. Best VPNs for Windows IPVanish has a dedicated Windows app that features IPV6 leak protection, LAN blocking, and OpenVPN scrambling. PureVPN also has a Windows client with inbuilt malware and ad blocker. IPVanish has a dedicated Windows app that features IPV6 leak protection, LAN blocking, and OpenVPN scrambling. PureVPN also has a Windows client with inbuilt malware and ad blocker. Best VPNs for Android IPVanish has an OpenVPN based Android app that automatically selects the fastest VPN connections based on users’ locations. PureVPN on the other hand has a dedicated Android app with strong encryption and is P2P enabled; however, you have to play around to find the fastest server. IPVanish has an OpenVPN based Android app that automatically selects the fastest VPN connections based on users’ locations. PureVPN on the other hand has a dedicated Android app with strong encryption and is P2P enabled; however, you have to play around to find the fastest server. Best VPNs for Mac Whether you’re streaming or torrenting, IPVanish offers a MacOS app that features lightning fast servers and stores no logs. PureVPN stores temporary logs on its MacOS app but still stays competitive with a detection technology that protects your devices from unknown network threats. Whether you’re streaming or torrenting, IPVanish offers a MacOS app that features lightning fast servers and stores no logs. PureVPN stores temporary logs on its MacOS app but still stays competitive with a detection technology that protects your devices from unknown network threats. Best VPNs for iOS IPVanish has a secure iOS app that supports the IKEv2 and IPSec protocols and integrates iOS’ 3D touch into its functionality. Meanwhile PureVPN offers an iOS app that’s very easy to use and features an ad blocker. IPVanish has a secure iOS app that supports the IKEv2 and IPSec protocols and integrates iOS’ 3D touch into its functionality. Meanwhile PureVPN offers an iOS app that’s very easy to use and features an ad blocker. Best VPNs for USA Although it doesn’t work for Netflix, IPVanish has over 400 US based servers and is very fast when streaming other US services like Spotify. PureVPN only has 100 US servers and still manages to unblock Netflix but it could certainly do with some speed improvements. Although it doesn’t work for Netflix, IPVanish has over 400 US based servers and is very fast when streaming other US services like Spotify. PureVPN only has 100 US servers and still manages to unblock Netflix but it could certainly do with some speed improvements. When it comes to premium security features, privacy, and VPN connection speed, IPVanish outperforms PureVPN. Its apps are intuitive and easy to set up on any platform and it has a larger server network. While PureVPN has a problematic history with privacy, they have improved their policy, backed with GDPR compliance. If that’s good enough for you, you can enjoy the many perks - including high security levels, many servers in over 140 locations, 5 simultaneous connections, and interactive apps for almost any device. All that comes at cheap prices, so it’s a generally good choice, despite some connection lags.